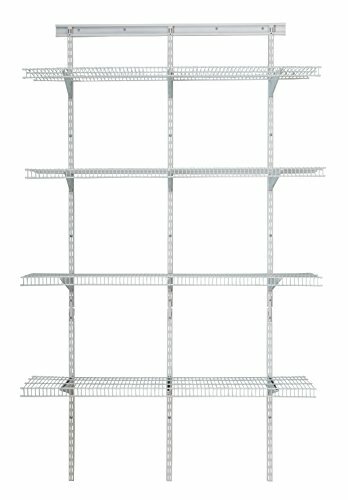 The ClosetMaid 4-foot ShelfTrack Pantry Organizer Kit offers shelf adjustability for a custom fit. It is perfect for your pantry, as well as laundry room, closet or garage. The 5/8inch wire spacing helps prevent smaller items from tilting over or falling through. 16-inch shelf depth means more space for storing bulky items and boxes securely.